I’ve been busy for the past few days hanging out with my mom (who’s visiting) and acquiring more yarn. 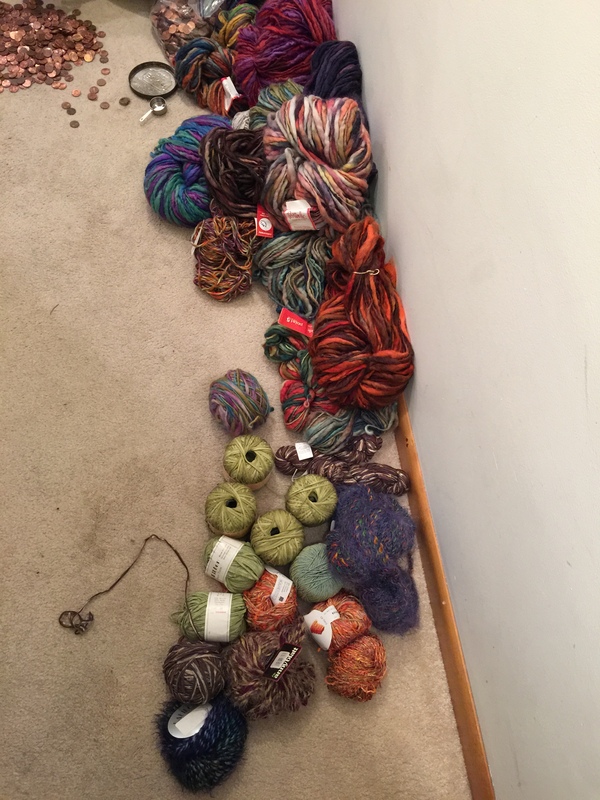 We like to go thrift shopping and bargain hunting together, so, well, yarn happens. There are worse things I could hoard, right? Well, sometime in May she was in town and we went to our local “Gucci” Goodwill, so named because it’s in a nice area and tends to have higher end inventory. We’ve had good luck there. I was standing near the staff only area when an employee came out carrying two medium sized plastic tubs. 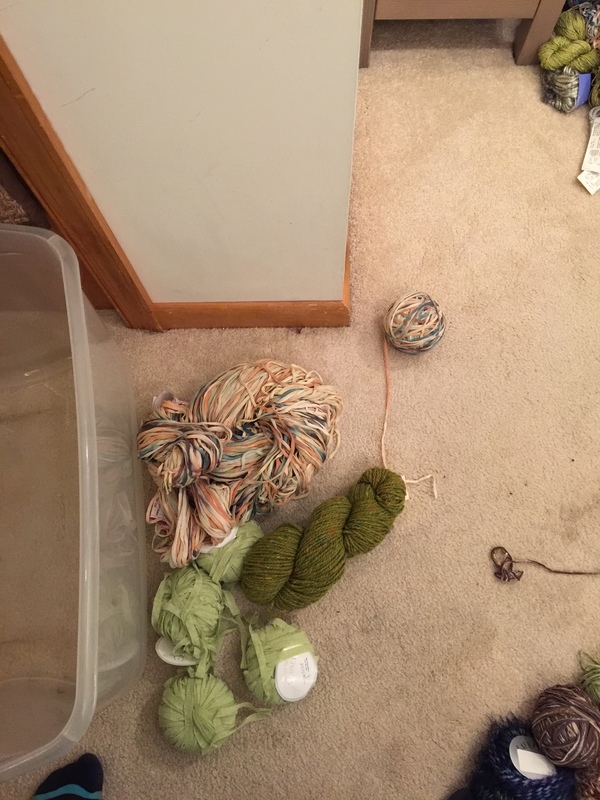 I quickly realized they were full of yarn. I got my mom’s attention and told her we needed to follow. We did and, when we started going through the two tubs, quickly realized we’d stumbled across a bonanza. One tub was priced at $30 and the other at $20. We bought them both. Some of the stuff you see there is Roz Houseknecht Handweaving Thick ‘N Thin Wool, Colinette Point 5, Classic Elite Inca Alpaca, Rowan Magpie Tweed, Noro Sahara and Noro Gemstones among many, many others. We added up the total sticker price of everything that had a price tag on it (a lot of it didn’t) and got well over $1000. It was a little insane. A few of my projects so far have used yarn from this amazing haul, notably my Old Shale kids blanket which used Colinette Wigwam. 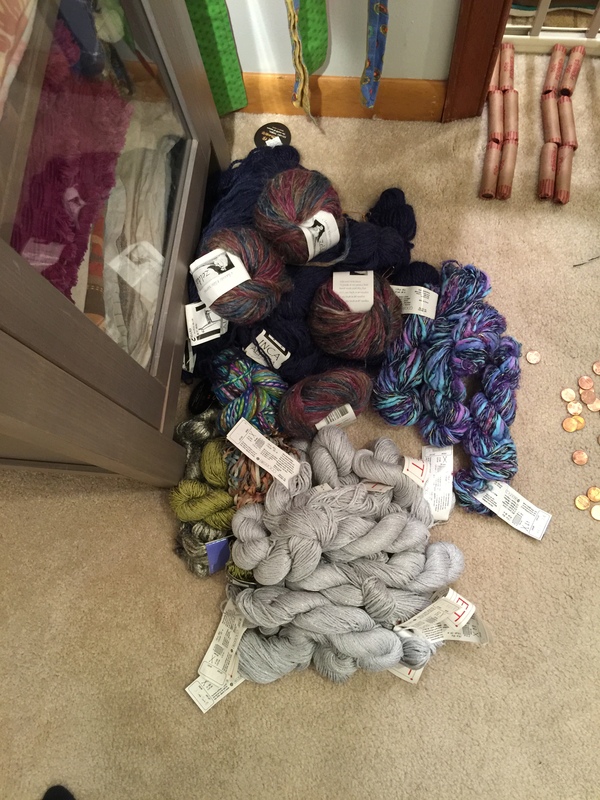 I have a feeling I’ll always be chasing that “yarn bargain” high! We didn’t find anything nearly so awesome today, but I got a few things. Ends are woven in and everything! I must be turning over a new leaf. Also, I decided the Old Shale kids blanket didn’t need to be blocked after all, so that is now officially a FO. That’s three whole new FOs! Even though I haven’t had a ton of time for actual knitting, I’m feeling pretty productive. The mittens were a bit of a bear. I don’t think I would do helical mittens again. They’re a little funky because the extra rows get a little squeezed when they start and end. 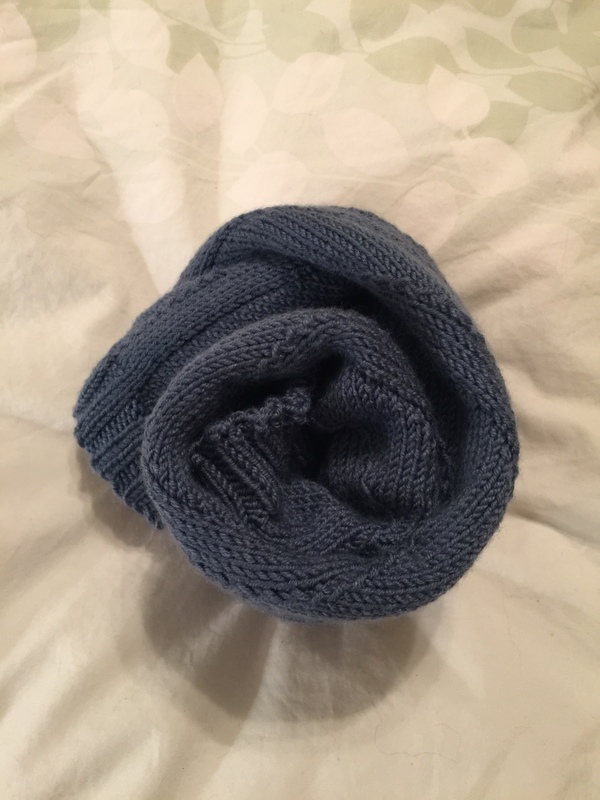 I think that helical knitting for hand wear should probably be limited to baby mitts that don’t even have thumbs. I would knit this pattern again, just not the same way. 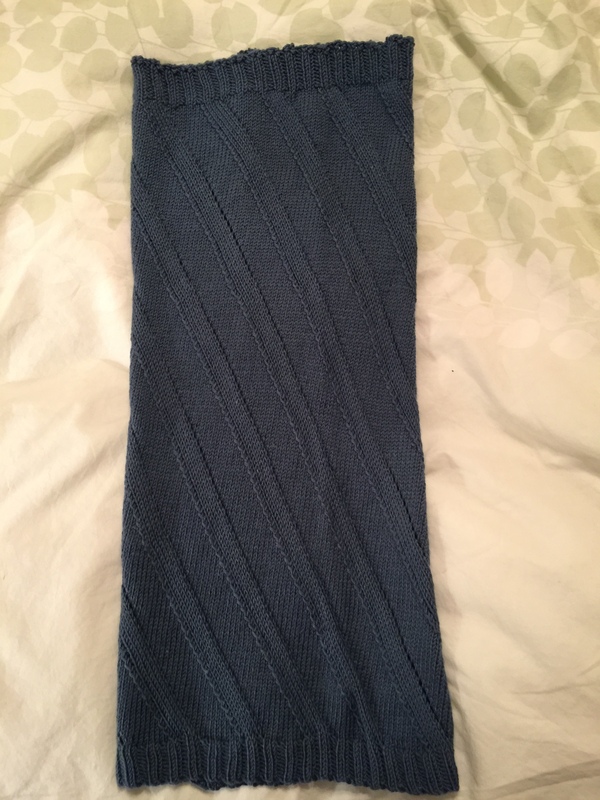 They are supposed to be extra good at staying on (that’s what the long cuff is for) so I’m hoping that they’ll be useful. Wowwweee! I’m inspired to find a Gucci Goodwill in my area! What a fabulous deal!!! And your FOs turned out great! Thank you 🙂 It was a pretty awesome haul! I will be working through my part of it for the next several years, I think! Wow! 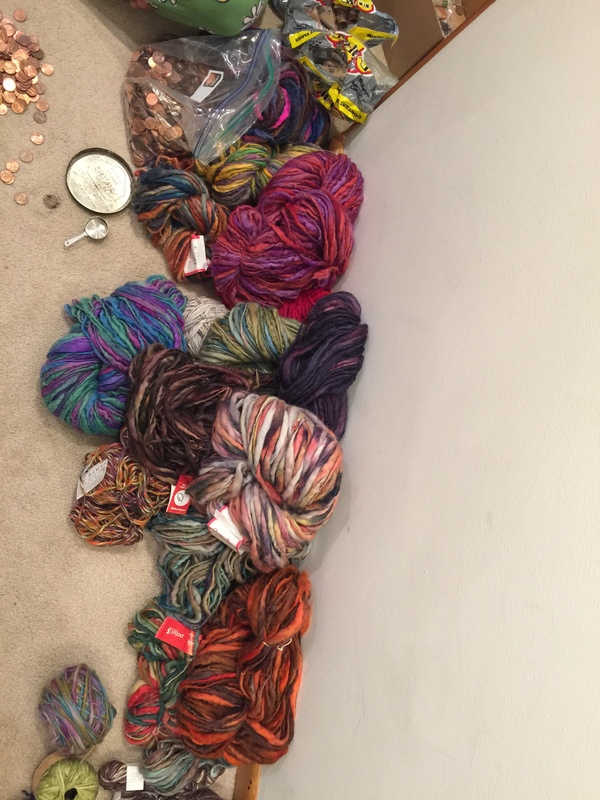 I echo the other comments made…what a freaking awesome stash and find! 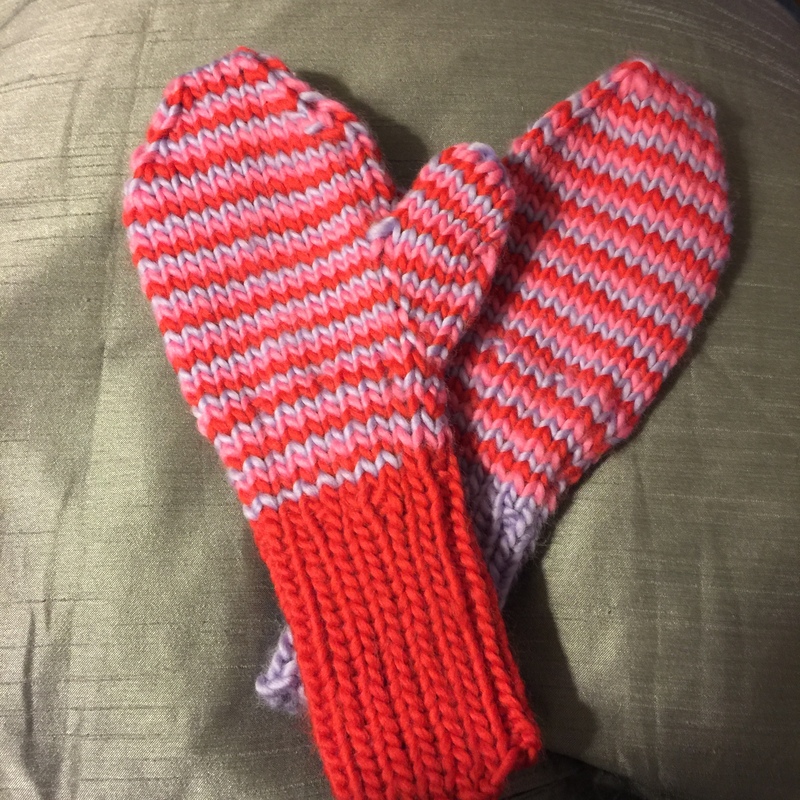 Great job on all the FO’s too 🙂 I love your mittens…they look super warm. The Not a Buff looks super nice too. Is that a cowl? Thanks 🙂 It’s a cowl, hat, headband all rolled into one. 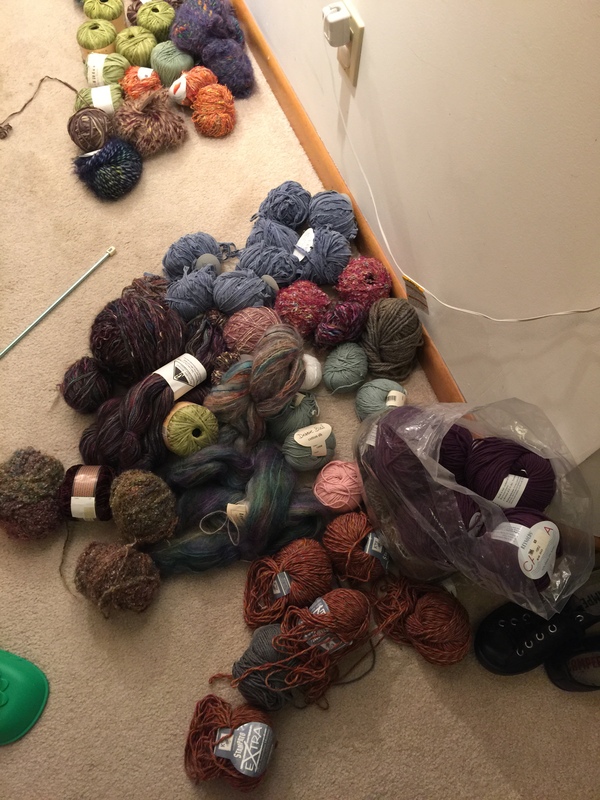 Oh man, it would be hard to shop for yarn for someone else! But maybe fun! Yeah, I knew it was theoretical 🙂 It’s interesting to consider, though. Especially since I have a moratorium on yarn going on! I’m totally out of space 🙂 I am however getting this sock yarn (about to be discontinued) but that doesn’t count because I should have *just* enough room in the Yarn Bin. I had a similar things happen to me at own local Goodwill, though you certainly got cooler stuff! I did get some lovely things from there, myself. It’s always just the luck of the draw. That one day was particularly epic, but I definitely strike out a lot, too!